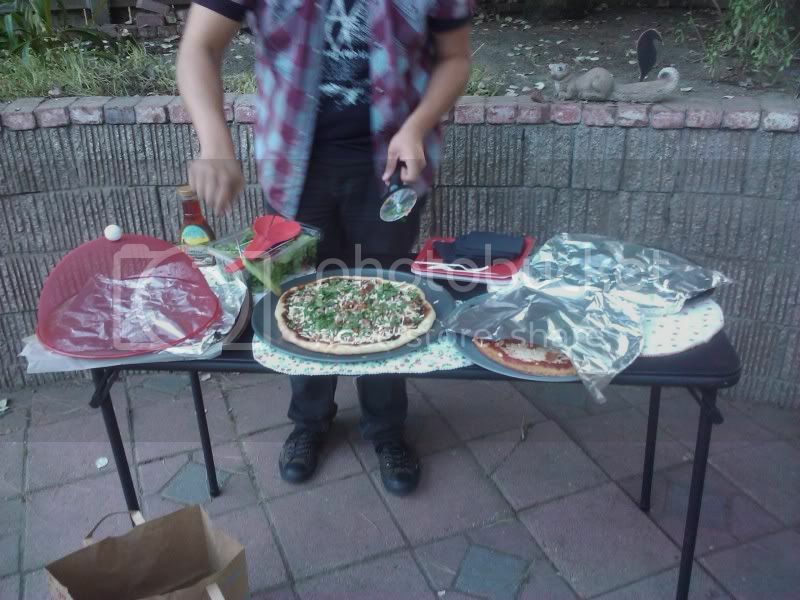 Last weekend we had a mini pizza party in the back yard! I made 3 pizzas, here are 2 of them. The third was just a plain cheeze pizza because some people like it simple! All cheeze used is Daiya! 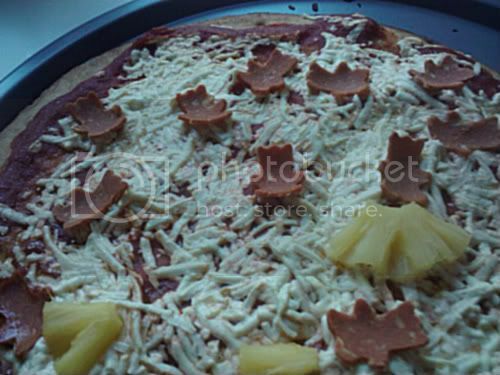 Pineapple and bear shaped faux-ham! 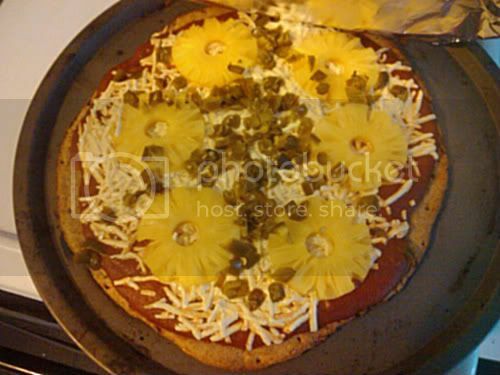 Pineapple and jalapeno - a new fave combo. I got to meet my Twitter friend Iamsunshine78 for the first time and she brought over a yummy BBQ 'chicken' pizza! It is pictured right in the middle as Matt plays pizza slicer! This week I experimented a bit with pizza toppings. I made a vegan version of a buffalo wing pizza. It was good - but it was super hot! I have some more combos up my sleeve. Since the store down the street started carrying Rustic Crust I get pizza super fast and don't have to treat pizza like a special occasion thing! Ooooo, I'd probably love the buffalo wing pizza! We're having pesto pizza tonight topped with artichokes, sundried tomatoes and spinach. What was on the bbq "chicken" pizza? I keep hearing about them but have yet to try one. I want to, though! I believe it was bbq faux chicken, daiya, cilantro, bbq sauce, onions! So good! Wow - love the cute little bears. I have a few cutters for making bento. Maybe I'll use them next time I make a pizza.